In 2017 I met Ahmad Fadhli Syed Hassan as an invited guest at an event. He was aware that I was working on my book project and did not hesitate to tell me that he was doing extensive research into the Johor royal family for his book project on the late Sultan Ismail. 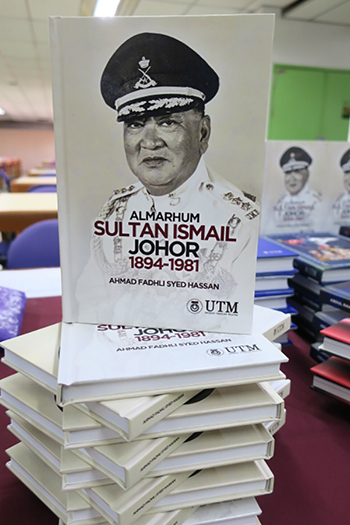 For him, it was a dream come true when his book, Almarhum Sultan Ismail Johor 1894 – 1981, a Universiti Teknologi Malaysia (UTM) publication, was launched in Batu Pahat, Johor in conjunction with His Majesty the Johor Sultan’s 60th birthday in November 2018. It was indeed a memorable moment because his manuscript had gone through meticulous review by his mentor and advisor, UTM Associate Professor Dr. Kassim Tukirman, editor Lim Swee Tin, historian Datin Patricia Lim and others, and finally by the Johor Royal Court Council president, Datuk Abdul Rahim Ramli. He will never forget that moment when his book was presented to the Sultan of Johor and how it received His Majesty’s royal approval. Recently, I attended Bicara Karya, a talk held in UTM where the author discussed his book writing journey and shared some of the highlights of his experience. The event moderator, Dr. Kassim, presented a brief introduction before the author addressed the audience and replied to queries in the Question & Answer session. 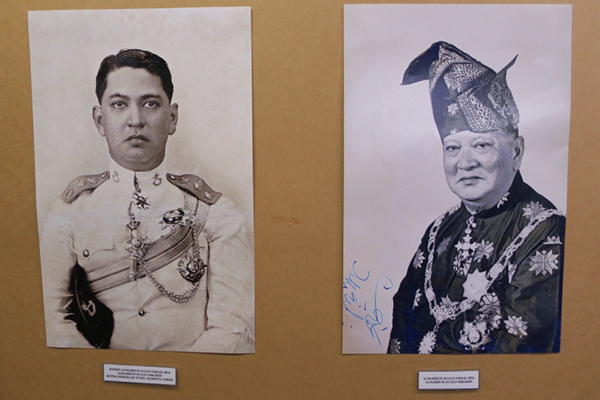 Ahmad Fadhli attributed his interest in the Johor royal family to the influence of his great-grandfather, grandparents and granduncles who worked with the Johor royal family and left a legacy of old photographs and documents in their family home at Jalan Wadi Hana. His late grandfather, Haji Daud Haji Abdul Hamid was an Under Secretary with the Johor government while his late grandmother, Khadijah Haji Ahmad, better known as Cikgu Jah, was an Inspector of Religious Schools and a religious teacher to the royal family in the 1950s. Whereas, his grandmother’s brother, Mohd Mahir Haji Ahmad, who worked with the Johor Information Department, was often the Master of Ceremony for royal events. Mohd Mahir was also in the editorial team that published the souvenir book to commemorate the royal wedding of then Tunku Mahkota (now Sultan Ibrahim) to Raja Zarith Sofia in 1983 and another souvenir book for the installation of Sultan Iskandar as Agong in 1984. He fondly recalls that another granduncle, Mohd Aris Haji Ahmad, a former classmate of Sultan Iskandar, had settled in the UK and became the first Malay mayor of Windsford in Vale Royal, Cheshire. His great-grandfather, Haji Ahmad Yaakub, an Inspector of Religious Schools, was so skilled in cooking that around 1956 to 1958, he was tasked to prepare wedding banquets for the royal family, sometimes for up to 5,000 guests! Haji Ahmad was the author of two recipe books that featured Johor Malay cuisine, namely Medan Selera and Hidangan Terpilih in 1958. His grandfather was also involved in the publication of a souvenir book to commemorate the Diamond Jubilee reign of Sultan Sir Ibrahim of Johore (then). Since childhood, Ahmad Fadhli would admire the collection of old photos, souvenir books, invitation cards and newspaper cuttings on Johor royalty and his family members. 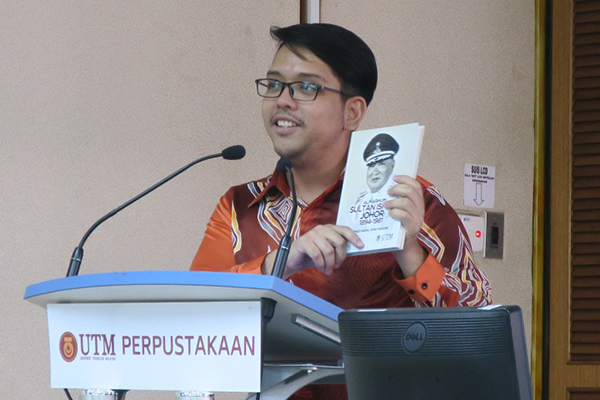 As he grew older and could read the photo captions, Ahmad Fadhli started what he described, “to learn through pictures” and this sparked his interest to seek a career in publishing books, particularly on the Johor royal family. He was probably about eight when his father drove them pass Film Star Photo Studio and he saw a photo of someone wearing a similar uniform, displayed in the showcase. In 1992, his father – a Lecturer with a teachers’ training college, was awarded the PLP Long Service Award and his official photos were by Mr. Wee, a photographer from Kedai Gambar Rezeki, a shop in Larkin. When he was 13, Ahmad Fadhli was keen to get some photos of the Award’s recipients on the occasion of Sultan Iskandar’s birthday. He took his father’s suggestion to go to Mr. Wee, who should have a collection of such photos for sale, but Ahmad Fadhli was disappointed to find only three photos. He then remembered Film Star Photo Studio and it was the start of his friendship with Mr. Heng, the royal photographer, who had a collection of good photos since the 1960s. He would save his pocket money to buy photographs for his collection and because he was such a regular, Mr. Heng was happy to offer him photos at special discounted prices. After Ahmad Fadhli completed his Degree in (Archive) Records Management, he also obtained his Teaching Diploma and became a Primary School teacher, in charge of the Library, for three years. He then joined UTM as Publications Officer and his first project was as co-editor for Seiring Mengukir Kegemilangan 30 Tahun UTM di Negeri Johor, a souvenir book published in commemoration of UTM’s 30th anniversary. While working on this project, it occurred to him that the late Sultan Ismail initiated the establishment of UTM and discovered an opportunity to publish a book on His Royal Highness. He shared his ideas with Dr. Kassim and even created a mock-up of his book for discussion. Armed with Dr. Kassim’s advice, Ahmad Fadhli plunged into further research to prepare his manuscript. Looking back, it had been an arduous journey while he patiently arranged for his manuscript to be reviewed and approved by relevant authorities, starting with Dr Kassim, step-by-step until it received final approval from Datuk Abdul Rahim Ramli. When we met again recently, Ahmad Fadhli gave me a copy of his mock-up book, an item which marked the first step towards making his dream come true, in his book-writing journey. “So what’s next?” I asked and Ahmad Fadhli strongly hinted about his next book project, the Diamond Jubilee celebration of Sultan Sir Ibrahim (1895 – 1959). Book orders for Almarhum Sultan Ismail Johor 1894 – 1981, can be made via www.booksonline.my while e-books may be purchased from www.e-sentral.com.